A fond farewell to Yaniv! 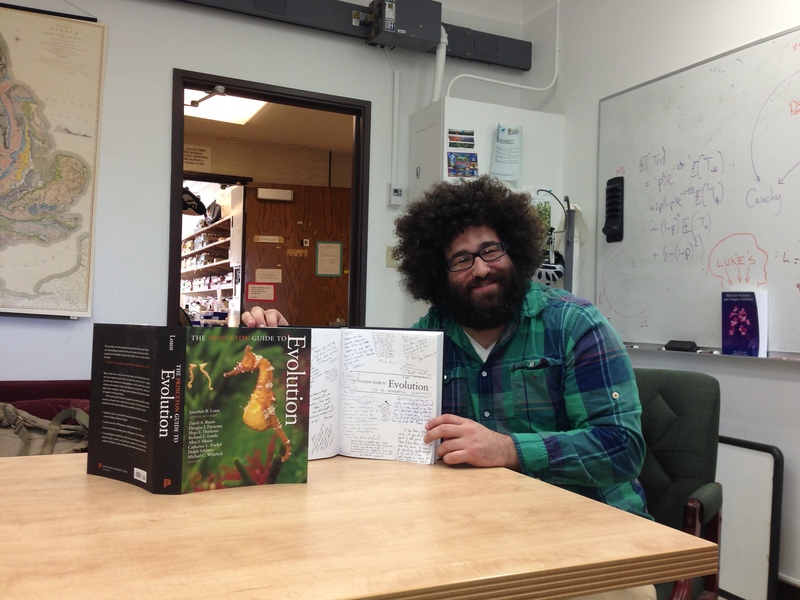 The awesome Yaniv Brandvain has flown the Coop lab, and starts his evolutionary plant genomics lab at the University of Minnesota today. 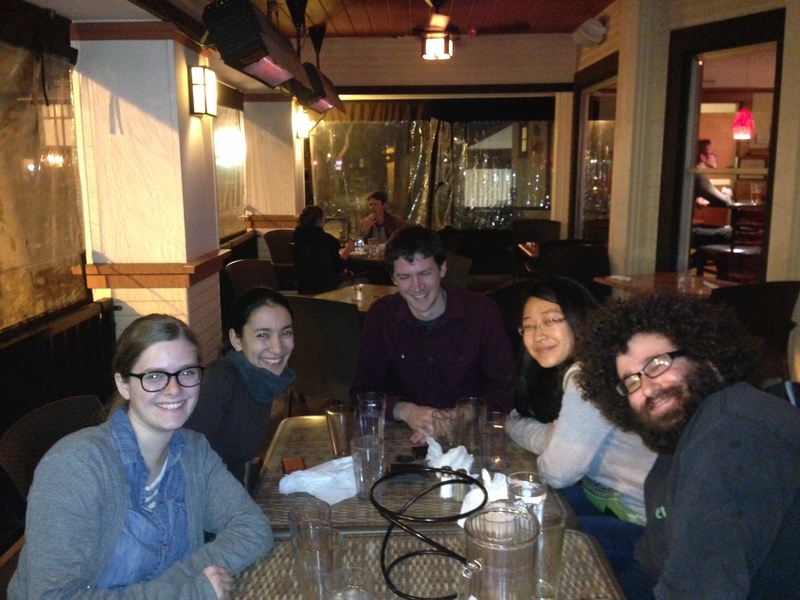 It’s been wonderful having Yaniv as a member of the Coop lab. Yaniv brought a wonderful sense of community to Davis, and the Coop lab and the Center for Population Biology benefited enormously from his intellectual generosity. We are sad to see him go, but we know the future holds great things for him and his lab. You can get some sense of the diverse projects that Yaniv worked on in his time in Davis from his recent publications. We also have a more papers in the pipeline, so keep an eye out for those. It was signed by many folks at Davis, and had many messages of support from Yaniv’s many collaborators and authors of many of the chapters (who Yaniv knows). A small, but fitting, tribute to mark the evolution of a wonderful scientist. This entry was posted in cooplab, photos. Bookmark the permalink. 1 Response to A fond farewell to Yaniv! thanks to graham and the coop lab for 3.5 awesome (although not alwawys easy) years. I learned a ton from all coop lab members (and most of cpb, and even jeff ri). Proud to have flown (and known) the coop lab.